"Tablets killed the paper stars"
Everybody knows it, if you’re or telephony surveys you’re fine – there are plenty of software packages out there for you to choose from and your operation is going to enjoy the benefits of computers. Not so if you are a market research firm doing fieldwork. Fieldwork usually means either pen & paper or heavy, clumsy laptops, right? Not anymore! Pen & paper surveys are quickly being replaced with tablets . SurveyToGo's tablet survey software makes running offline surveys previously only possible with pen & paper now possible on low cost tablets. 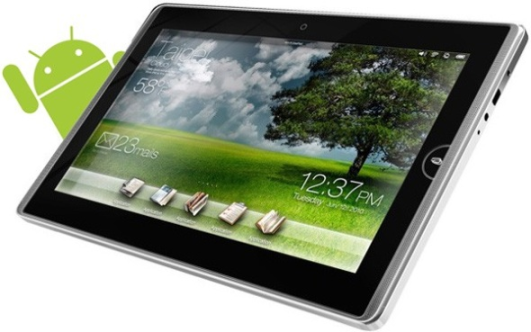 Tablets range in price and features but decent tablets cost around $150-$200. While laptops are heavy, clumsy and have short battery life, tablets are light, have an easy to use touch screen and have a much longer battery life that can usually last the whole day. 1. Interviewer instructions are integrated in the survey – routing, piping, filtering, loops – all of these are no longer complicated interviewer instructions but rather a part of he survey logic and are enforced by the tablet. No more empty cells in the data output or conflicting answers in the data. 2. GPS Location capturing – For every interview, the exact GPS location is captured. Quality control departments can verify interviews are being performed at the correct locations. 3. Silent Recordings – sound recording interviews or parts of interviews without the interviewer knowing enables quality control departments to “listen in” to the interviews and both spot discrepancies in the interviewing technique and in coding answers. 4. Automatic quota tracking – no more paper scraps with quota definition and tracking. Quotas are automatically tracked on the tablet and support is available for multiple interlocking quotas (2d,3d, Nd quotas). Offline tablet based interviewing is quickly replacing pen & paper surveys in every corner of the world including the US, Latin America, Europe, Africa, the middle-east, Asia, Australia and many more. Expect to see many improvements made to our tablet survey software in the coming years.